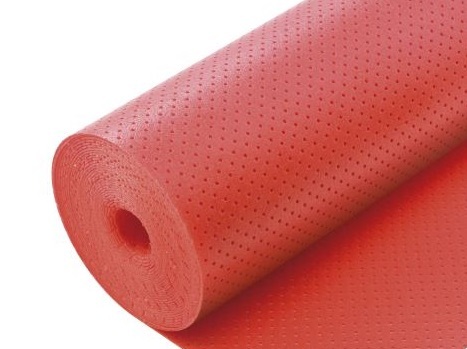 Perforated PE foam underlay specially designed to offer maximum heat transfer for use in conjunction with underfloor heating systems. QuickTherm’s unique perforated design and ultra low tog value of just 0.35 means your underfloor heating system works more efficiently to keep you toasty! The very dense closed cell polyethylene material can take heavy loads long-term, fully supporting your floor to protect it and keep it in good shape for a longer life. It may be no lightweight in performance, but QuickTherm’s certainly easy and safe to lift and handle thanks to its ultra-lightweight foam. To buy this product please call into one of our branches.